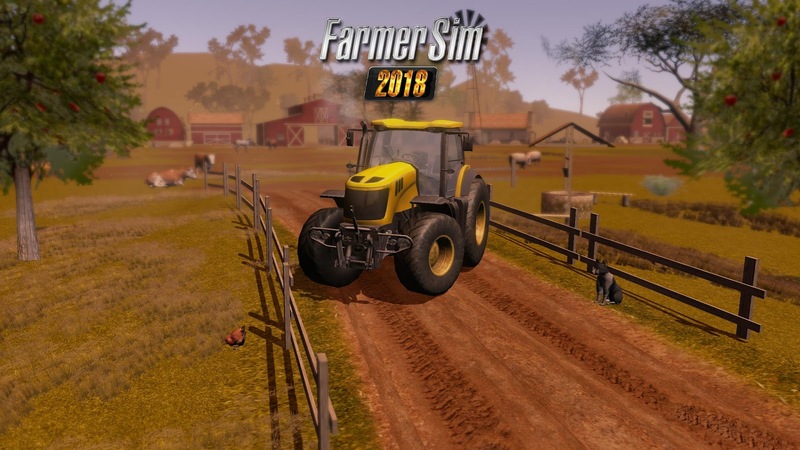 The new simulation game which came into market named Farmer Sim 2018 will give you the opportunity to become a real farmer in the virtual world. This will take you in an awesome open world of new possibilities. In this game, you can harvest different types of crops and can manage your livestock (cows, pigs, turkeys and sheep). You can experience the farming life and all the aspects of being a farmer. There are many farming equipment and vehicle available in the game which will allow you to play with so many different machines like tractors, trucks, trailers, ploughs and seeders. 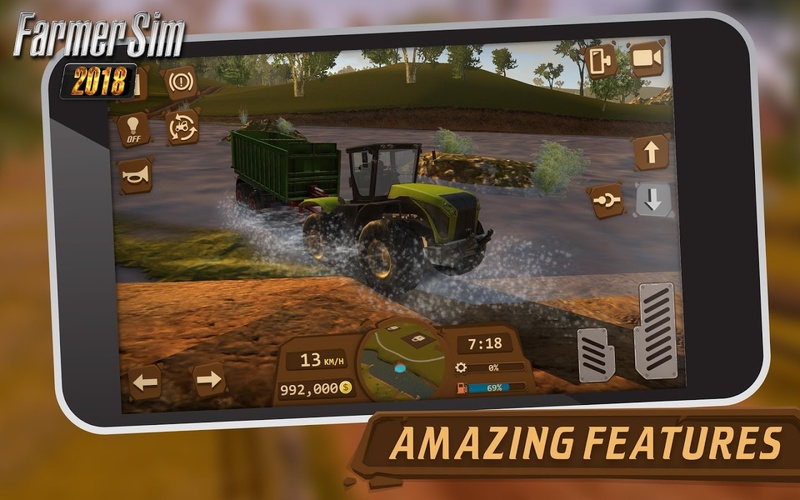 This next-gen graphics powered simulation game will completely take you in the real farming world. Despite the obvious advantages of graphics of PC versions, it’s been found that people still prefer playing on the mobile platform. 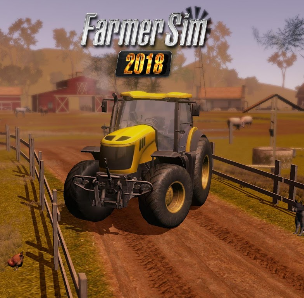 Farmer Sim 2018 is the latest version, after the 2015 version, to make its way to mobile. If you have used the series of farming simulators, especially on mobile, then you know what you’re looking for, which is about the game that’s basically a complete cycle of making money to spend on stuff to make more money and spend that hard earned money on more stuff like that. – This time has more realistic vehicles and machinery (ploughs, tractors, harvesters, trailers, trucks and seeders etc ). – This version has brought the latest tutorial which makes everything easier to understand everything. – Unlike the previous version, this one comes with so many types of plants to harvest. -The latest version is powered by next-gen graphics. – The latest version comes with an open-world career. – This one also includes incredible weather system. – Day-Night Cycle has been included in this version. – Now you can challenge your friends by sharing online your statistics and achievements. After all the positive review here comes some negative thoughts about the app based on the reviews of users which were experienced during the gameplay. – There are some bugs related to a number of coins and rewards. – Zooming in or out bugs. – Trailer not connected to the truck, some visual bugs. – Game crashing again and again. After going through all the points and reviews which point out to the many of the features and flaws of this game, this can be concluded that this game is indeed a big improvement over its predecessor but not quite up to the mark to its expectations. This game has a rating of 4.5 in google play store which clearly indicates that this game has received a positive response from the people and they really like it. It will get better once the bugs are removed and fixes applied. But till then, user experience won’t improve. So all in all, it can be concluded that the Farmer sim 2018 is indeed an interesting game to play and will improve the gameplay experience as soon as the bugs are fixed.